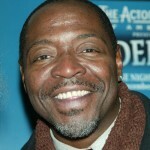 Born in Cleveland, Ohio, in 1954, actor-singer Chuck Cooper has performed on stage as well as on television and film for over three decades. A Tony Award®-winning baritone, he is best known for his work in musical theater. His Broadway career began at the Nederlander Theatre in 1983, when he played Brother Boxer in Garry Sherman and Peter Udell’s musical Amen Corner, based on a play by James Baldwin. Cooper was later an understudy for the role of Adam – eventually taking over the part – in Frank McGuinness’s play Someone Who’ll Watch Over Me during its run at the Booth Theatre (1992–93). He also appeared on stage as an understudy in Sondheim and Lapine’s Passion and was a standby in Sondheim and Furth’s Getting Away with Murder. In the Ebb-Fosse-Kander smash hit Chicago, which premiered at the Richard Rodgers Theatre in 1996 and continues to play at the Ambassador Theatre, Cooper took over one of the leading roles, Billy Flynn. Off-Broadway, in the critically acclaimed Avenue X (1994) – the a cappella/doo-wop/R&B/rock musical by John Jiler and Ray Leslee – Cooper won plaudits for his performance as Roscoe; he can be heard on the original New York cast recording. But it was Cooper’s performance in The Life (1997) – a musical by Cy Coleman, Ira Gasman, and David Newman about prostitution in Times Square – that has brought him his greatest fame so far. For his performance as the pimp Memphis, he won the Tony Award® for Best Featured Actor in a Musical; Lilias White, also in the cast, won the Tony® for Best Featured Actress in a Musical. 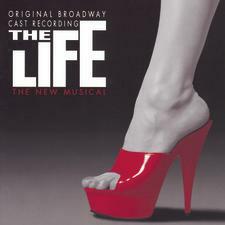 Both can be heard on the original Broadway cast recording. In Caroline, or Change – a musical by Tony Kushner and Jeanine Tesori, set in 1963 Louisiana at the time of the civil rights movement – Cooper played The Dryer and The Bus in the 2004 Broadway production. In the same year he performed in a benefit production of Hair. The following year he was part of the original Broadway cast of the John Lennon musical Lennon at the Broadhurst Theatre as well as the star-studded cast of musical A Wonderful Life (based on the classic Jimmy Stewart film) by Sheldon Harnick and Joe Raposo, which had a single benefit performance for the Actors’ Fund of America at the Shubert Theatre. His off-Broadway work also includes Thunder Knocking on the Door, Police Boys, Four Short Operas, Colored People’s Time, and King Island Christmas. In regional theater, he has performed leading roles in several Shakespearian plays: the title role in Othello, Brutus in Julius Caesar, Aufidius in Coriolanus, and Caliban in The Tempest. He also portrayed Paul Robeson in Passage Theatre’s production of Robeson, by Philip Hayes Dean. He has also been featured in films such as Noise, Evening, American Gangster, The Opportunists, Gloria, The Peacemaker, The Juror, North, and Criminal Justice. His television credits include appearances on 100 Centre Street, Law & Order, Oz, Strangers with Candy, NYPD Blue, and Cosby.